At this point this is sort of a recap, but here is a playlist of the NASA New Horizons “Pluto in a Minute” series hosted by Amy Shira Teitel. Her energy is infectious and I would love to see NASA continue to employ her as the public envoy of ALL future endeavors. Enjoy! First flight for Blue Origin’s “New Shepard” space vehicle. On April 29, 2015 Blue Origin successfully completed the first developmental test flight of its “New Shepard” space vehicle. After accelerating through Mach 3 and reaching an altitude of 307,000 feet, the crew capsule (uncrewed in this test) was deployed and successfully parachuted to the ground. In fact, if New Shepard had been a traditional expendable vehicle, this would have been a flawless first test flight. Of course one of our goals is reusability, and unfortunately we didn’t get to recover the propulsion module because we lost pressure in our hydraulic system on descent. Blue Origins is the private space venture backed by Amazon.com billionaire Jeff Bezos. Made with only 100% all-natural REAL space footage! 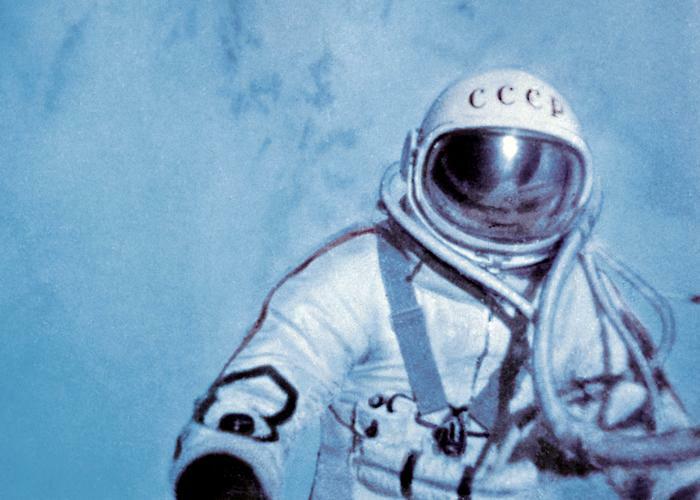 Here is a GREAT media-rich article exploring the first ever human space-walk by Alexei Leonov in March of 1965. Read the brief synopsis below and then click through to the article for details. I had no idea.